So sorry to have been absent, dear blog readers... as before, I've been writing letters and living life (and exploring my great new city of Washington, DC!). I've been meaning to blog, and today's Postcrossing haul convinced me I simply had to blog right away! Above, I received IN-65026, showing a "postman bike" from India. 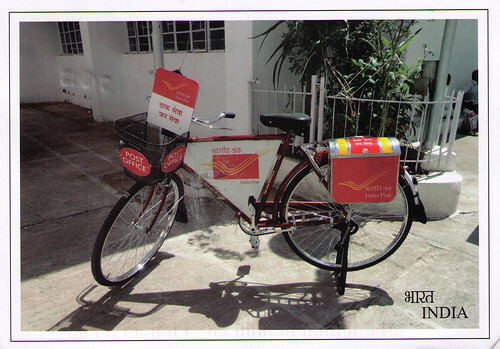 The caption reads "Prototype of a postman bike bearing the new logo of India Post and its slogan in Hindi: 'Dak Seva, Jan Seva' meaning Postal Service is Public Service." Hooray! 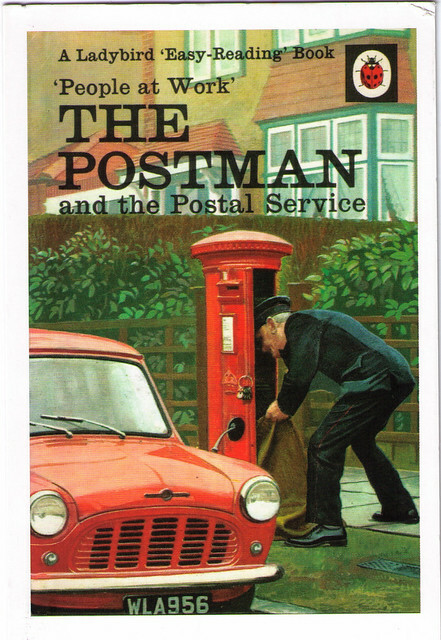 I also received the fabulous GB-456219, showing a wonderful Postman book cover. The sender was so enthusiastic that she sent me TWO postcards, and she's been a customer in the past in my etsy shop. Small world, eh? Certainly a small world of mail aficionados! 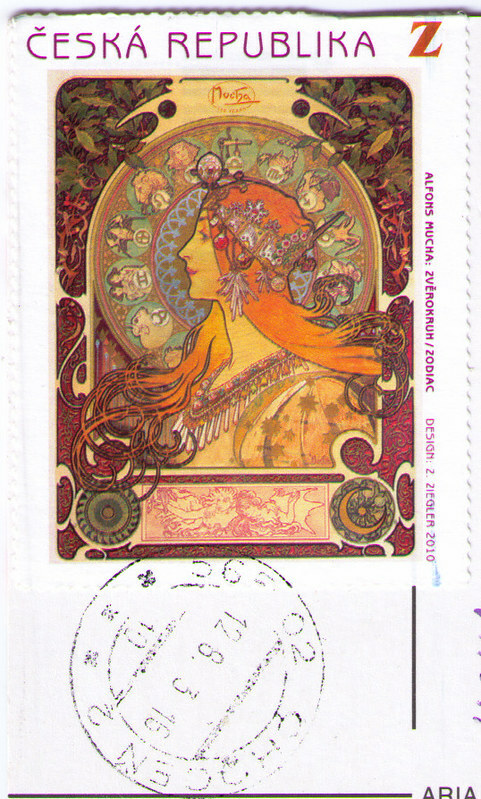 Finally, on a postcard from the Czech Republic, I received this wonderful postage stamp showing the work of Alphonse Mucha. Some really cool postcards and postage! Thanks for sharing! A Mucha postage stamp ~ fabulous! I love the post-bike! But I love the book cover! I cannot decide which I like best. And Connie said it best about the stamp ~ fabulous! These postcards & stamp are fantastic! I love the bicycle the best! I love the India slogan - just as the British government is talking about privatising the postal system!